Hands up who has gone to a restaurant because of the bread? 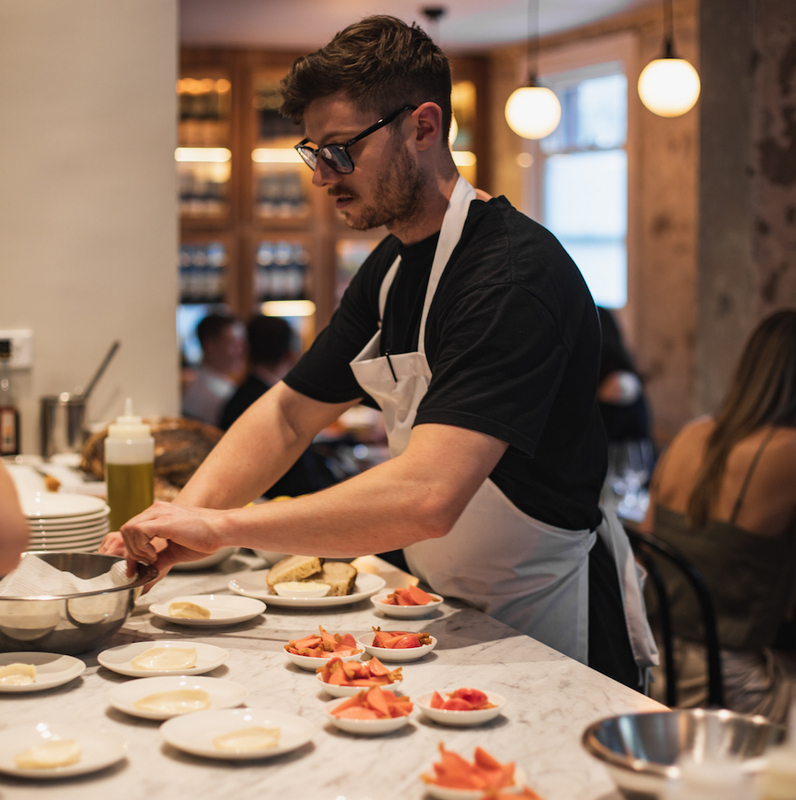 It definitely isn’t the only reason to visit Arthur, but we’re calling it, they make some of the best sourdough in Sydney. 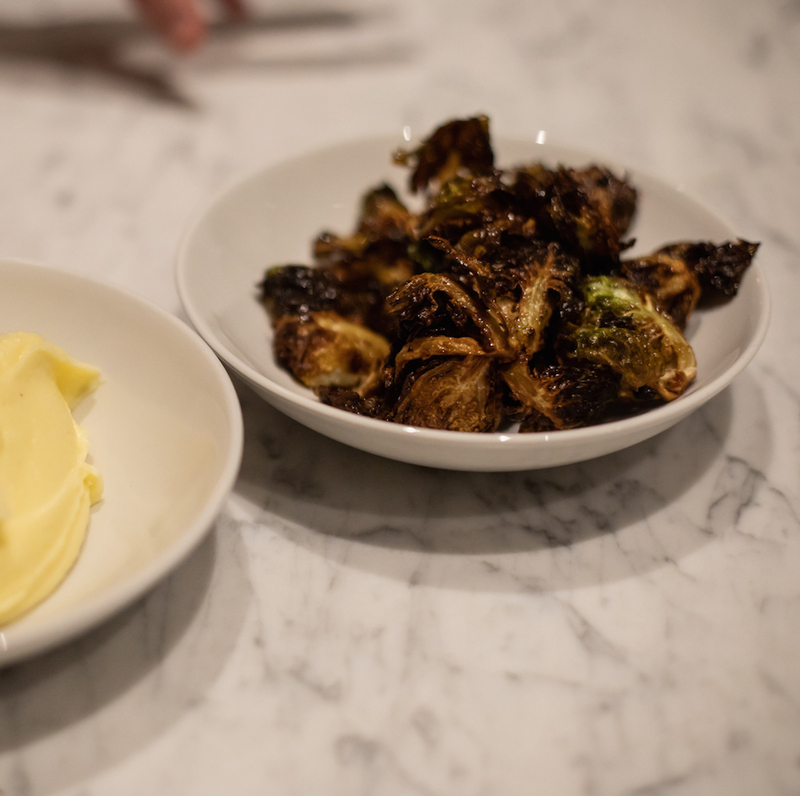 Crisp and firm, yet soft and chewy, it is a stellar start to the meal at this hot new Surry Hills restaurant. 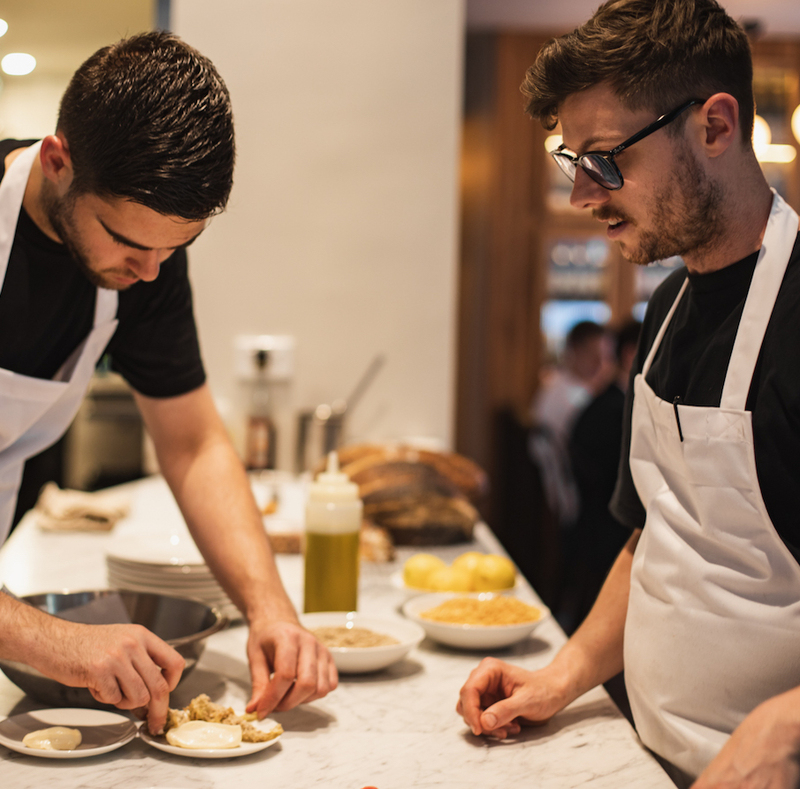 Arthur is Chef Tristan Rosier and partner’s Rebecca Fanning’s first foray into a solo venue. Their first venue, but they definitely know what they’re doing. After building a great pedigree at Est., The Farmhouse and Dead Ringer, they were keen to realise their vision before both hit 30. Yes, 30. Rosier and Fanning may be young, they have a loyal team clamouring to help bring their vision to life. A big dose of passion and a low-key yet laserlike focus on customer experience means they’re nailing it from the get go. Nestled on Bourke Street’s tree-lined stretch of Surry Hills, Arthur is right across the road from Bourke St Bakery. There’s a warm glow as soon as you enter the dining room that is both instagrammably on point for right now but also feels like it’s been here forever. Start off at the marble-topped blondewood bar before moving to the moss-coloured leather banquettes and Thonet Bentwood chairs of the 35-seat restaurant. 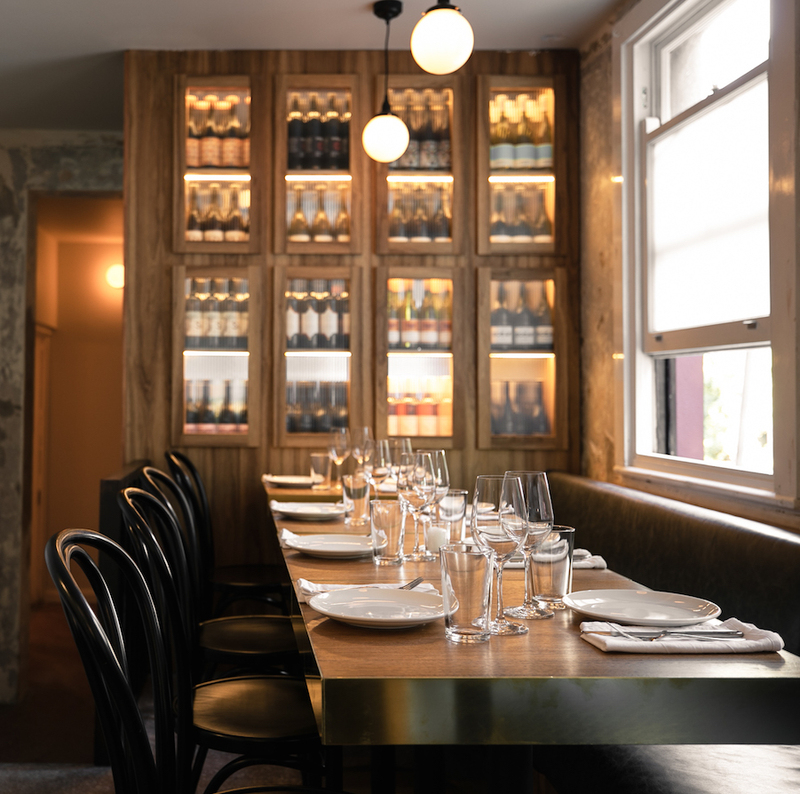 They confidently only offer a well priced 11 dish, 5 course share menu with their take on Modern Australian fare, coupled with exclusively Australian wines. Produce and simplicity is key and the set menu evolves daily with two sittings per night. Start your evening with the blood orange spritz – rose vermouth, sparkling wine and verjuice with just the right sweetness – and the homemade sourdough and butter. Pickled radishes and fried kestrel potato with homemade aioli and a punchy romesco are a strong start. Next up is buffalo mozzarella on a salad of beans, fennel and tomatoes paired with a delicious Kangaroo tartare. Slow cooked beef rib pasta and asparagus with almonds comes next, but the real showstopper is a roasted chicken with sourdough bread sauce and borlotti beans done two ways – slow cooked with lemon and fried with white asparagus sauce. And then there’s the desserts. They’re the team’s daily brainchild, definitely save room for the likes of light mango and macadamia weis ice cream throwbacks. Remember when get-togethers focused on good food made with love and unhurried conversations with friends, family and the occasional uninvited neighbour popping in? Tristan and the team recreate that relaxed, intimate environment for catching up with your tribe. Even when it comes to leftovers. Sort of. Don’t leave without tucking a loaf of their sourdough under your arm. For $10, it’ll keep you very happy for a couple of days.